Nassau, The Bahamas - Last Saturday residents in Fox Hill woke to news traveling through the streets to "come to the court for free food and brooms." 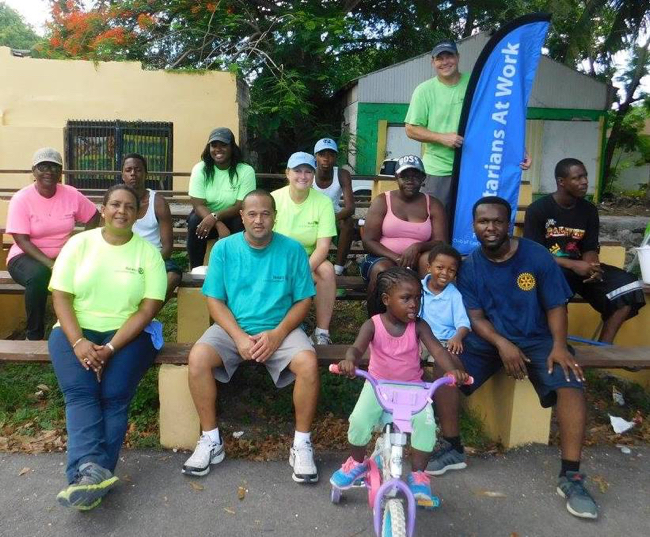 Men, women, families, and children came to the Fox Hill basketball court and were greeted by Rotarians from The Rotary Club of East Nassau (RCEN). RCEN had a large dumpster staged next to the courts available to residents who needed to clean out their yard. 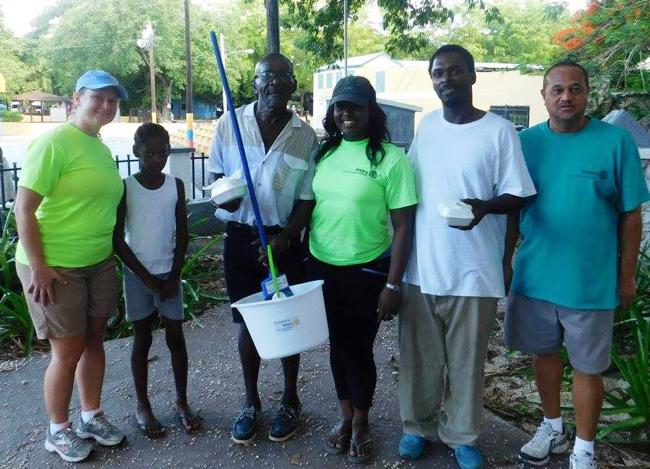 Hot breakfast was distributed to more than 200 people as well as 150 brooms, mops, buckets, and cleaning liquid. 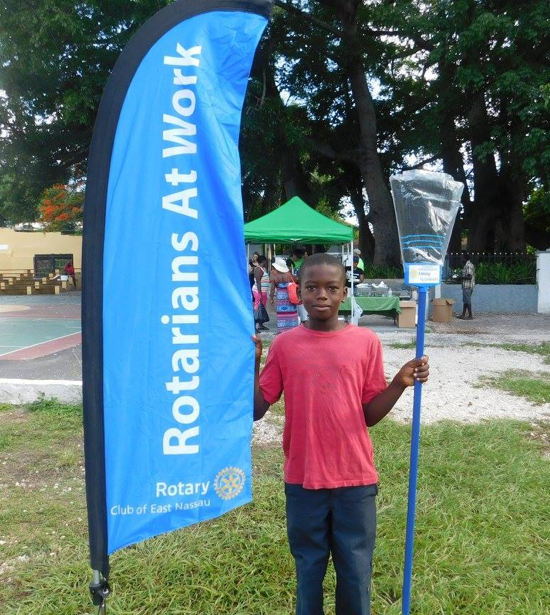 Once the cleaning was complete the more energetic Rotarians had some fun on the courts playing ball. 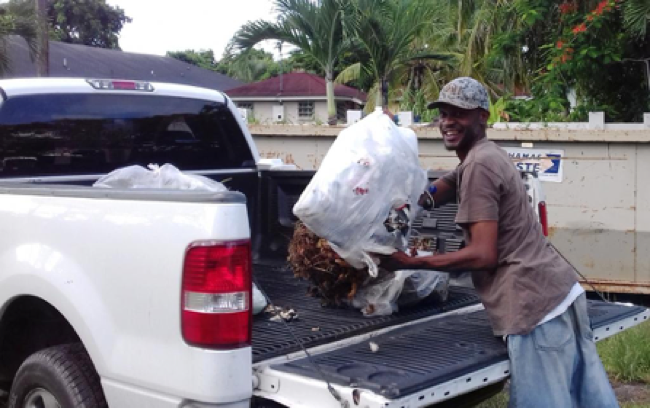 RCEN Community Service Director, Constance Gibson said "many of us have participated in efforts such as beach cleanups where we are cleaning up someone else's mess just to have the mess reappear the next week. The idea behind this event is we are giving people a hand in cleaning up themselves by giving away basic cleaning supplies and providing a place to put the garbage that is not picked up by the curbside service. We added the breakfast because it's a great way to get people out for interaction and to chat about the community." RCEN President Diane de Cardenas believes "the condition of the environment around a person affects them emotionally. It is in everyone's best interest to look after the area you live in because the unconscious feelings you get from a clean environment will trickle through to your outlook and the vibes you give others." RCEN has been involved in the Fox Hill community for more than 25 years through their food distribution program, named the Fox Hill Run. Every two weeks Rotarians deliver groceries to designated households who need a little extra help. Over the years both parties have come to count on and look forward to the bi-weekly visits. RCEN thanks Bahamas Waste for the dumpster. The cleaning materials are courtesy of Bebin Diapers. 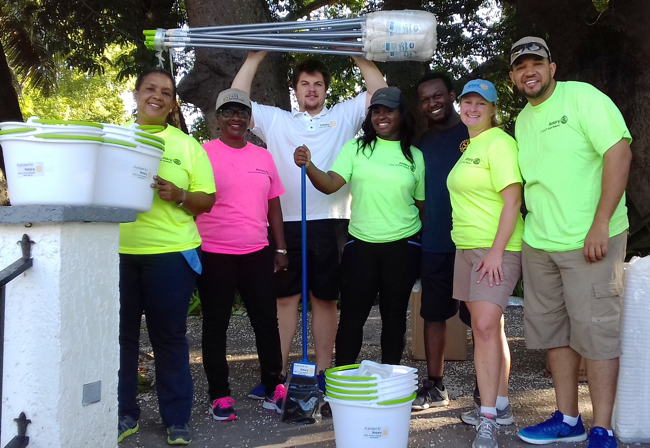 Both of these companies are great community partners and often go above the call of duty in an effort to make The Bahamas beautiful again. 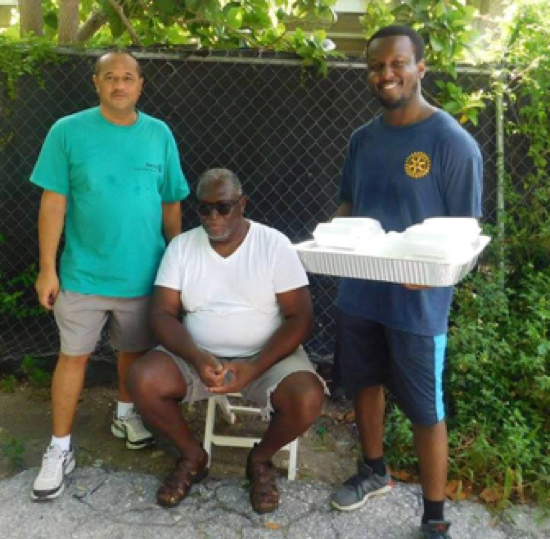 Rotarians Keith Sands and John Joseph deliver breakfast to Mr. Curry (middle) who is one of the regulars on the club's bi-weekly visits.